ANN ARBOR, Mich. — For patients who live in rural areas, driving to see a specialist in a large city or at a university hospital can be challenging, if not impossible. And yet, it's a necessity for better health: People with liver disease often require multiple visits to adjust medications or treat related complications. "I've always been frustrated when I can't help patients who live in distant areas and don't have a car or money for transportation," says University of Michigan gastroenterologist Grace L. Su, M.D. who is chief of gastroenterology at the VA Ann Arbor Healthcare System. Even when a patient is able to see his or her local primary care physician, problems could arise. Those practitioners may have knowledge gaps, little to no communication with the patient's specialist or time constraints that lead to poor quality care. After one of her patients died after he couldn't return for a follow-up visit, she turned frustration into action by researching how technology could be applied to reach more rural patients and their doctors. 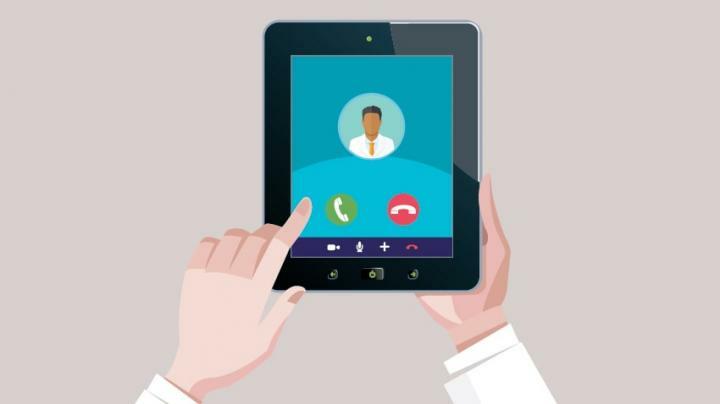 In a study published in Hepatology, Su and her team affirmed that communication is key: Patients of primary care physicians who participated in video consultations with liver disease specialists had a 54 percent higher survival rate than patients whose primary doctors didn't participate in those exchanges. "Primary care providers really want to do the right thing, but they may not have all the necessary tools," says Su. "This research shows an excellent way to impart specialty knowledge to them. The learning is mutual. They are not just learning; they are teaching us." Joining forces via video Such thinking isn't new. Years ago, researchers at the University of New Mexico developed the Extension of Community Healthcare Outcome (ECHO) program to train primary care providers to treat hepatitis C in patients living in rural and remote areas. The Veterans Health Administration adopted this "telementoring" model and renamed the program Specialty Care Access Network-Extension of Community Healthcare Outcome (SCAN-ECHO). The VA Ann Arbor Healthcare System was one of the first organizations to utilize the SCAN-ECHO program for chronic liver disease. "It is one thing to for a primary care provider to read or learn about a disease, but another when they have a specific patient in mind. This case-based teaching magnifies the potential for learning. Creating many mini-specialists from primary care providers is the most powerful aspect of the SCAN-ECHO program," says Su, who directs the SCAN-ECHO clinics at the Ann Arbor VA. "It's a medical force multiplier." The new research had some limitations. Providers who voluntarily did the virtual consultations may have had a strong interest in improving their skills and learning more, but direct comparisons couldn't be made from the two groups. Information about patients' socioeconomic status was also unavailable. "It does not appear to be a patient compliance issue since the program is not a direct specialist-to-patient interaction but one between specialists and primary care providers," says Su. "It seems that primary care providers who participated in the SCAN-ECHO were more likely to follow the guidelines for cirrhosis and perform the screening for esophageal varicose veins and liver cancer in the patients who need it." "I think it is the behavior of the provider that's the reason patients lived longer." "Video consultation is the future of medicine," says Su. "Our only other alternative is to send specialists to rural areas, and that's not going to happen."